The Y-PLAN methodology is adapted to engage younger children in generating innovative solutions to authentic community development challenges. 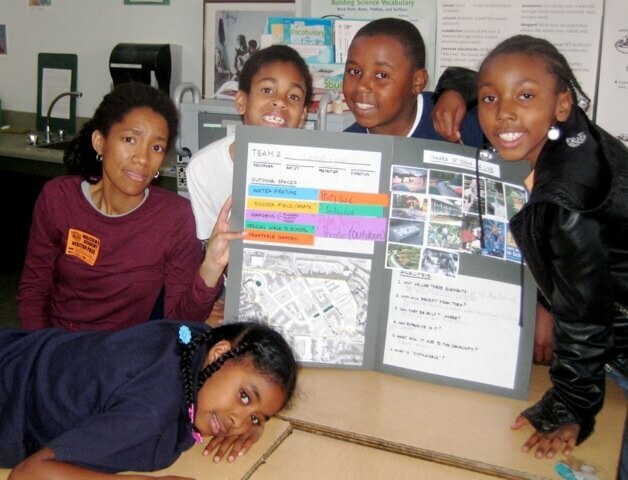 Throughout the process, young students apply core academic skills as they think critically, use their voice, and experience themselves as active participants in shaping the future of their cities and schools. Students learn about their challenge and the project question. 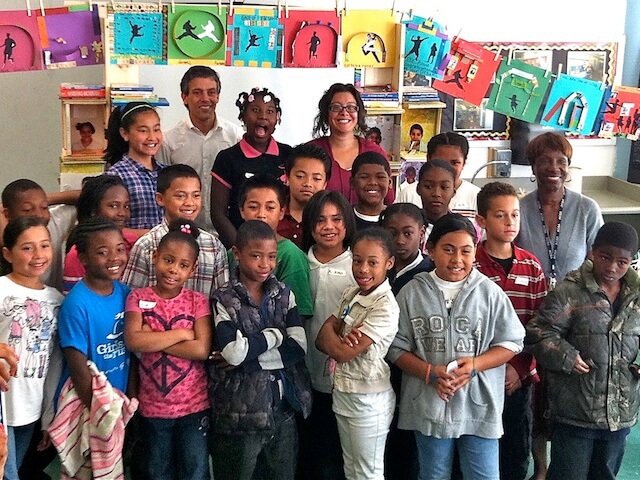 For example: How can our city’s built environment support eco-friendly practices for students, families and neighbors? Students see slides and start to learn about architecture and planning. Through a series of mini-projects, they begin the process of critical observation and reflection on the local built environment. 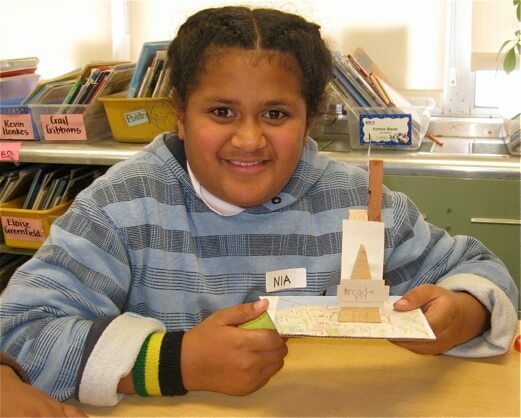 Teachers and facilitators help the children apply what they are learning in math, social studies, and language to their design and building projects. Children venture outside the classroom and map the school and neighborhood to gather data necessary to address their project question. 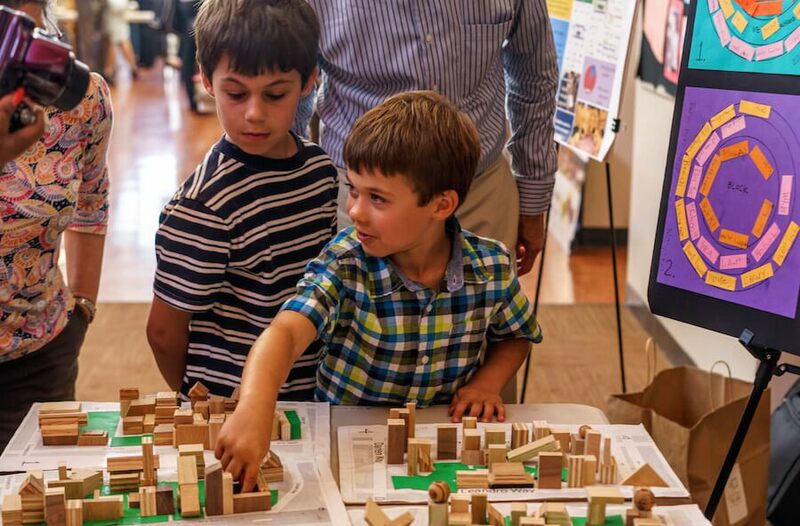 They examine community issues through the lens of the built environment: housing, public space, transportation, and schools, services and amenities. Working in small teams they gather information to think critically about their observations, then develop questions, problems, and possible solutions. Working in teams, students engage in the brainstorming and design charrette process to translate their knowledge about the community and best practices around the world into design solutions. They experiment with ideas and innovative approaches to the problems at hand and eventually create two or three powerful proposals for change. 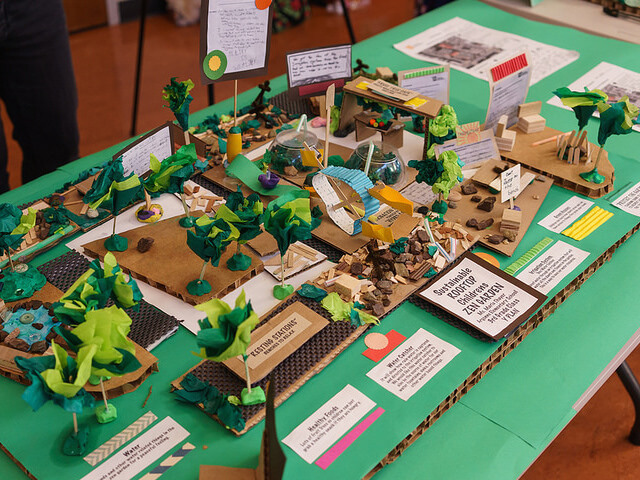 Students present their ideas first in their classroom and then in a public arena to share with their clients, community stakeholders and parents. At the final presentation, students engage in meaningful dialogue with the professionals, giving them input from children’s angle of vision. 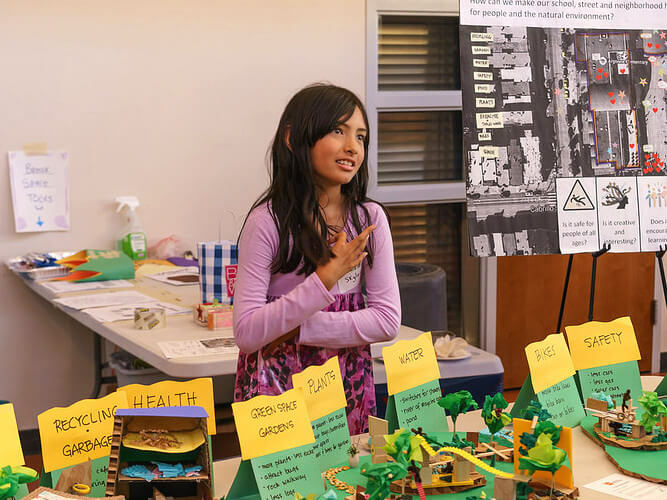 As students work through the 5 phases — reflecting an authentic community planning process — they share a wealth of ideas about how our urban community can be more livable, playful, friendly, and sustainable. 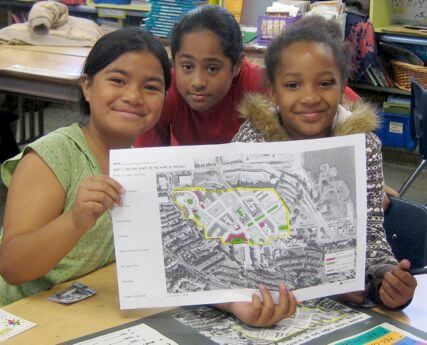 Y-PLAN professionals and students have the opportunity to write about and reflect upon the work they have done creating, designing, and planning proposals for their school and the community.